This is an App to display the correct time in any given time zone. Tapping the screen once cycles between set-up and use; very simple. Language, time format (24 hour, a.m./p.m. ), date format (4 options), first day of the week (Saturday, Sunday, Monday), font (choice of 2), colours (positive or negative, as well as the option to change after sunset), home location, and synchronisation information (shown or not, as well as choosing to only connect via wi-fi). Alarms, multiple locations (allows easy conversion between different time zones) can also be set, as well as calculating time lapses. This is a very reasonably priced $1. It's been a while since updating the time on iOS devices has been an issue but, neatly showing more than one time zone is a bonus. You can also convince yourself of the current time by pointing your browser to one of the myriad of time services. This is an iPad App requiring iOS 6 or later. 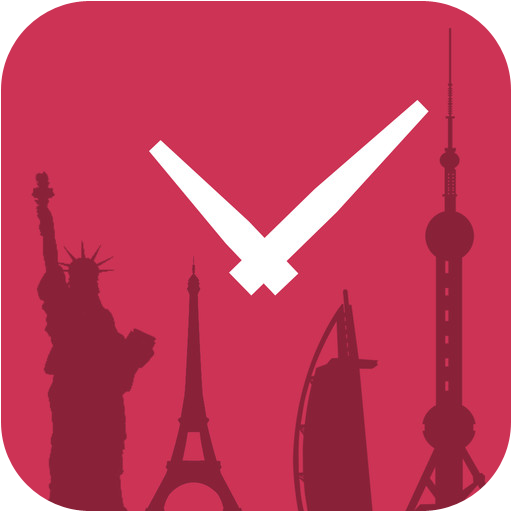 You can get Time.is here and support for the App here.